This silver stud heart earrings look good, cute and shiny. The style is classic. They are perfect size, not to large or small. The diameter of these silver heart earrings are 10 millimeters. They excellent for Valentines Day gift. The silver stud heart earrings are such pretty that you can buy them for your girlfriend, sister or lovers; everybody would absolutely loves them. 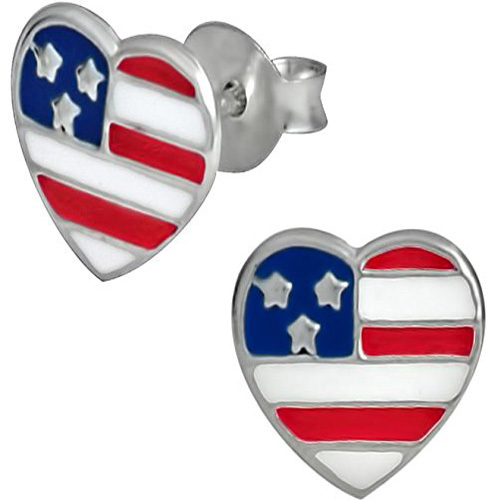 This American flag heart stud earrings are made with .925 Sterling Silver. They are lead and nickel free, so safe for sensitive ears. 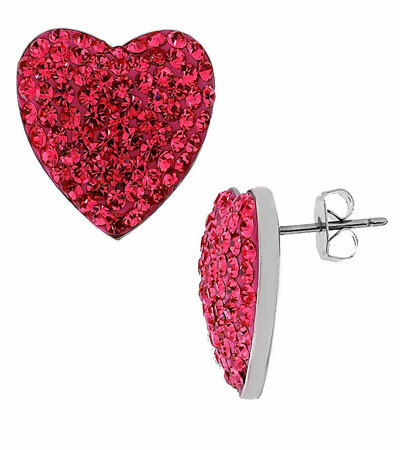 The length of the heart stud earrings is 0.31 inches and the wide is 0.31 inches.